Metal and Parts Fabrication is the foundation of the classic car restoration process. 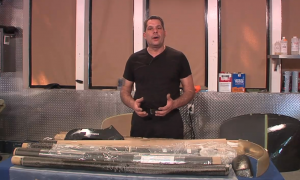 In this huge comprehensive 7-video download set, you’ll see first-hand the tools and processes to repair or replace many of the components on your car. Mark Simpson and Gary Simpson team up to bring you a wide range of metal fabrication tools, and instruction on how to use them, from English Wheels to Bead Rollers to MIG & TIG welding. With this set, you’ll learn how to repair, form, modify and weld many parts and panels. Also, Bob LaRosa joins the team to demonstrate the correct way to make fiberglass molds and how to use them to create your own custom carbon fiber parts. Mark also demonstrates one of the oldest forms of metal shaping, known as Hammer Forming; a great process to build your own custom parts using basic shop tools. 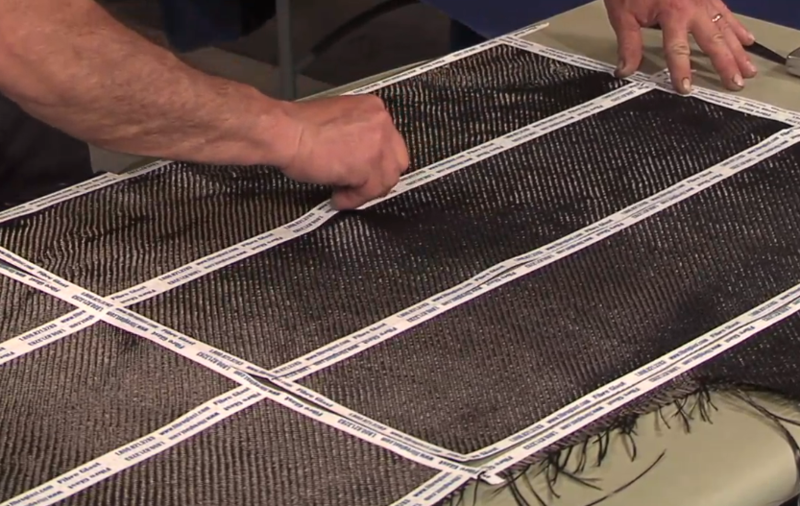 The team also shares many of their favorite tips and techniques sure to make any classic car restoration easier, better and faster. Enjoy our largest and most comprehensive parts fabrication set, with 8 hours, 15 minutes of detailed how-to instruction. Classic car restoration often involves some level of metal fabrication. Even if patch or replacement panels are available for your car, they’ll likely need some fabrication to make them fit as they should. 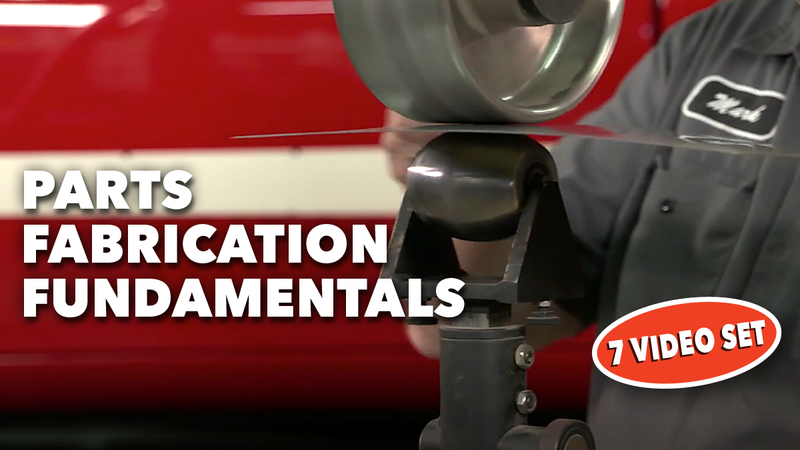 Mark Simpson explains the use and function of some of his favorite metal cutting and fabrication tools. Cleco panel holders: These blind clamping tools make it easy to hold panels tightly together until they can be welded. 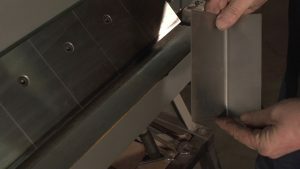 Beadroller: When duplicating trunk floors or body panels, the bead roller serves to duplicate factory ribs and flanges while adding strength to metal panels. English Wheel: Almost every steel panel on the outside of a classic car has a crown in it. 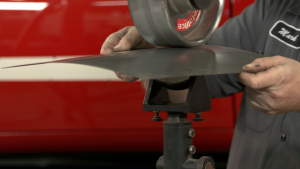 This tool is perfect for duplicating panel crowns or even straightening badly dented panels. Shrinker/Stretcher: Making pre-made patch panels fit properly can be a challenge, but here’s a tool that can make fast work of achieving a perfect fit, and a valuable tool when fabricating panels from scratch. Sheetmetal Brake: If you’re fabricating a patch panel or a new battery box, a sheetmetal brake is a must-have tool in most restoration shops. 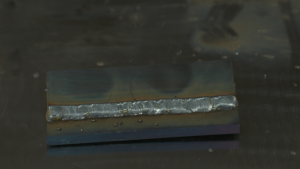 Plasma Cutter: In many shops this tool has replaced the Oxy/Acetylene torch for cutting metal, as its accuracy, control and versatility make it a highly useful tool. 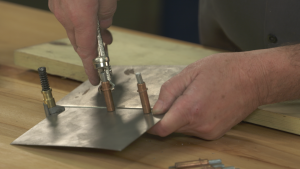 We’ll also look at a great tip to quickly and cleanly pick up metal shavings without getting stuck. If you’ve spent any time in the shop working on your classic car, you’re fully aware of the importance of having the right tool for the right job. But we all have to start somewhere, and for many of us our arsenal of shop tools was not a single purchase but rather an accumulation of a lifetime. But what do you need to start restoring your classic car? Mark Simpson takes an inside look at the tools most car guys should consider to make car restoration easier, faster and safer. We’ll take an inside look at everything from screwdrivers to floor jacks and everything in-between. Also included in this video, Simpson shares some of his favorite car restoration tips and techniques on everything from: Keeping spray nozzles clean; no-scratch fender covers; cleaning white-wall tires; cleaning/storing respirators; masking tape rejuvenation; and many more. These tips are proven time savers, certain to make your time in the shop more enjoyable. We’ll take you through the process of at-home Powder Coating, from preparation to finished parts. Powder coating allows you to put a nearly bullet proof finish on car parts that is guaranteed to outlast most painting or plating techniques. Plastic gauge and instrument lenses can become scratched and fogged over time, and for many enthusiasts reproduction lenses simply are not available. We’ll take you step-by-step through the process of restoring these plastic lenses to “like new” condition. 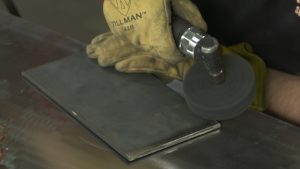 Hammer forming sheet metal is one of the oldest forms of metal fabrication known; Mark Simpson introduces you to the process and the materials used in forming projects. Using basic hammer forming techniques, Simpson transforms two flat pieces of aluminum into a custom air cleaner. 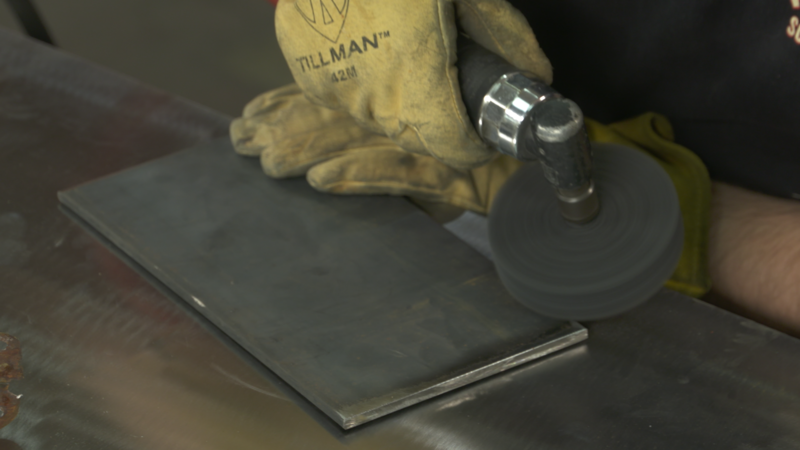 Using this process virtually any sheet metal part can be recreated from patch panels to custom center consoles; there simply are no limits. The first step is planning out what forms will be needed to get the job done. Simpson takes you through the process of designing patterns and preparing to cut out the form and clamp. Building a “Form & Clamp” for hammer forming requires only simple hand tools. 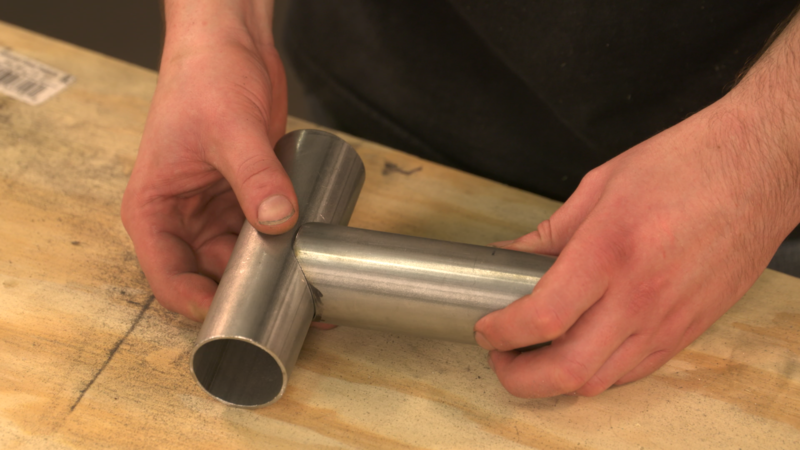 Mark shows you the process of cutting and sanding to achieve a high quality form.